Dyed4you Art – it isn’t a typo! Dyed4you Art (also sometimes referred to as D4Yart) was birthed out of its sister ministry Dyed4you (which creates custom-dyed, prophetic silks), thus the spelling. Both these ministries make up Dyed4you Ministries. In addition to paid staff, Dyed4you Ministries has a team of intercessors who support the ministries in prayer. 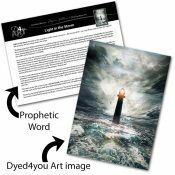 We also have a prophetic team, the members of which birth the words that go with our art and silks (find out more about this process on our Dyed4you Ministries site at About Our Silk Letters & Art Words). What is personal, prophetic artwork? In its simplest description, we create what we feel God is leading us to create. Then we seek the Lord for what He is saying through it, which is usually a combination of scripture, prophetic words, visions, and prayer. There are pictures of Dyed4you silks in many of the Dyed4you Art images, so when that’s the case, the name and color meanings from the silk may also be included as well. The words that go with the art are intended to comfort, encourage, and/or exhort as the bible instructs in 1 Corinthians 14:3. How do you make Dyed4you Art? We digitally create our artwork using a variety of methods. Find out more About the Creation Process. We create our art color blind. Who is making the art? 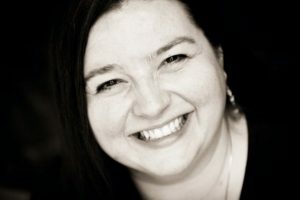 Meghan Williams, who is also the founder of Dyed4you Ministries, is the artist behind our images, but the words are birthed not just by her, but other prophetic voices as the Lord leads through our Dyed4you Art prophetic team. Meghan first fell in love with photography in her teens and ultimately majored in it in college; this was just as digital imaging was emerging (she remembers the big to do when Photoshop 2.0 was released). In the Summer of 2008, James Nesbit – a recognized and gifted prophetic artist – prayed over Meghan to stir up the prophetic art gifting. In a season of deep worship, intimacy, and brokenness, Dyed4you Art was birthed in November of 2009 with the Stairway to Revelation – the first of the Beloved Series. To really experience the fullness of the personal, prophetic art experience, we suggest you surrender the choice to God. We know it feels counter to normal shopping experiences not to specify your desires, but buying Dyed4you Art isn’t like buy other purchasing situations. The point of what we do is to share whispers from the Father, and if you were in church you wouldn’t go to the altar and inform the ministry worker what you’d like prophesied over you. In the same way, we encourage you to pick your product (e.g. printcard, photographic print, gift set) and let us select which image you receive based on how He leads us. With that being said, we know that He may speak to you directly about which image He wants you to have, or He may prompt you to get one for a friend and tell you which image to select. So you definitely can specify which image you’ll receive. The point is simply to yield to Him, whether it’s through us selecting for you or Him telling you directly, the biggest way you’ll benefit from our ministry is if you let Him speak to you through it. For more on the ordering process visit our How-to Order post or go right to our online marketplace (or shop our Etsy store to see what we have all ready to ship). If you have any questions, feel free to drop us an email or call Meghan directly at 314.504.1162 (leave a message if she doesn’t answer and she’ll get right back with you).